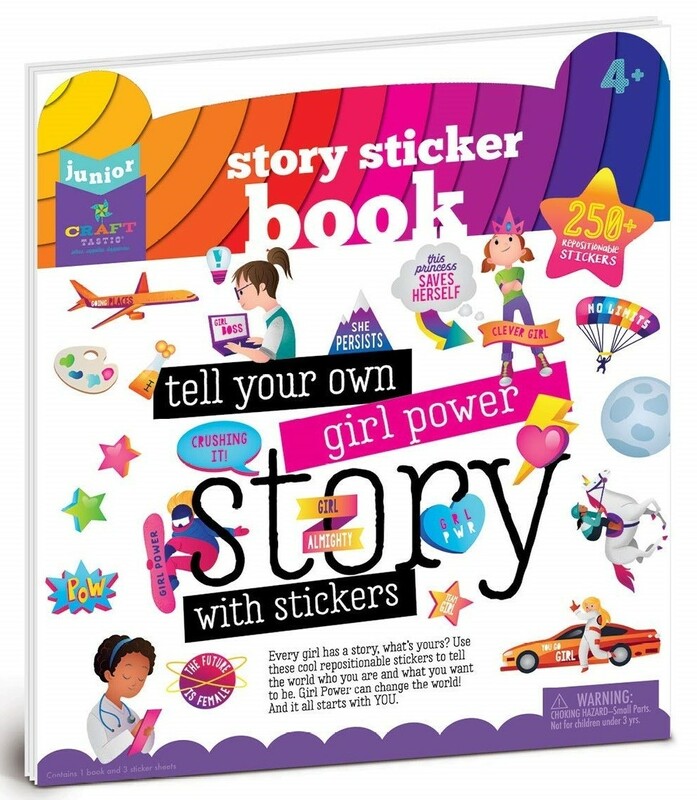 Whether your Mighty Girl likes dirt or glitter, capes or tiaras, this empowering set of fun reusable stickers from Craft-Tastic has her covered! 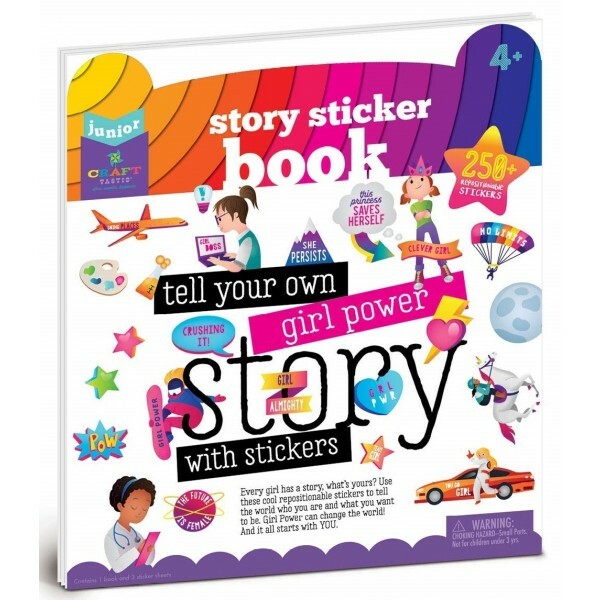 The 250 static-cling stickers include a variety of different future selves, from doctors to athletes to superheroes and many more, as well as a selection of affirming statements that allow her to remind herself of all her best qualities. 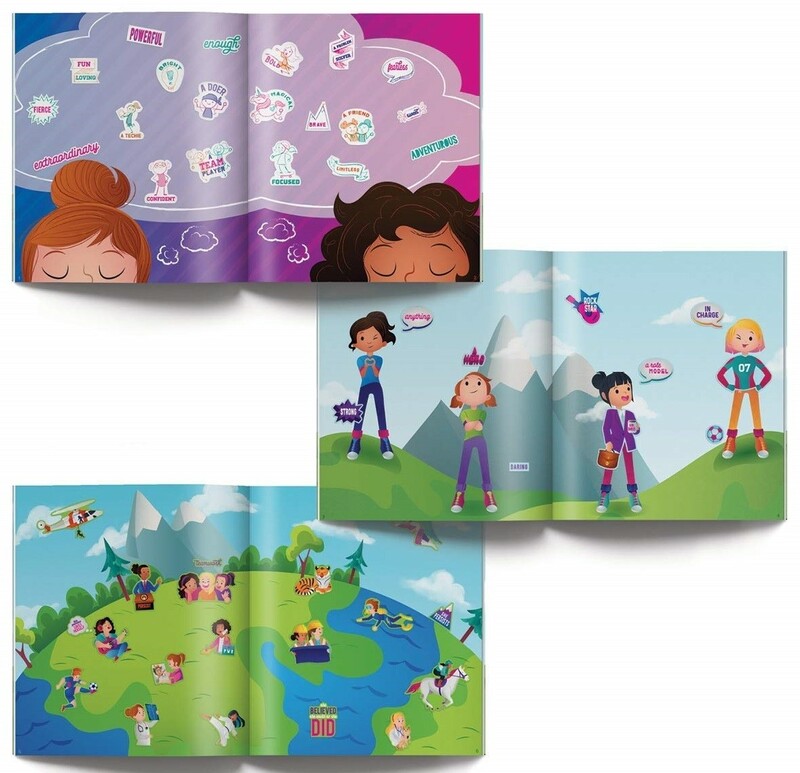 Girls can lay out the stickers within the sturdy story book, which offers three scenes: a mountaintop, a global map, and a dreamscape. 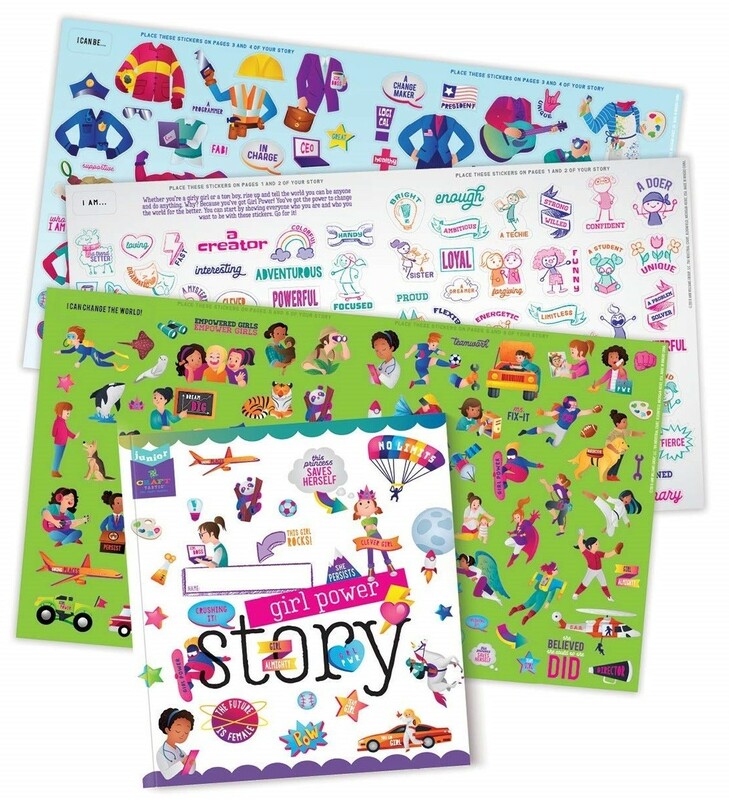 All pieces are reusable so she can create new stories again and again with no mess. This inspiring set is perfect for building her creativity and confidence, while helping her imagine how she's going to change the world!